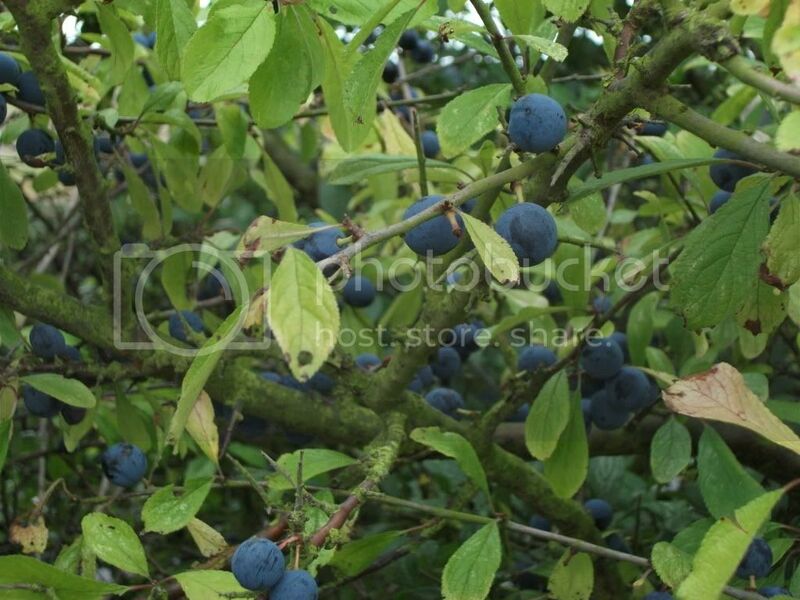 Can you help identify these please, I think they are sloes but would like to be reasured. So they could be but a taste test would confirm if you are brave enough;: think a thousand lemons on your tongue!! The leaves look like Blackthorn so - yes Sloes. Yup they look like sloes to me, as TA said, blackthorn leaves, dusty blue berries, the bloom wipes off with your fingers. Yes they were a bit sharp to say the least, mind you I think the acidity gets less as the fruit gets riper, not that you would notice it's still very sharp. It does make a very nice sloe and apple jelly just right for turkey (christmas is nearly here) or toast. 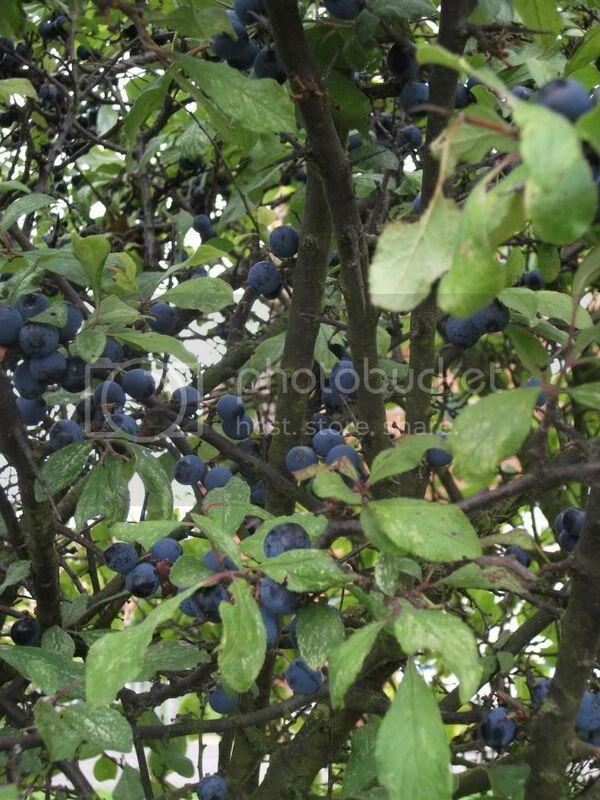 Look like sloes to me also- I can see some of the spikes on the branches- blackthorn has them (hence the name) and its latin name Prunus Spinosa. You've done well to find a tree with that many decent looking sloes on it - all the ones round here get stripped very early.